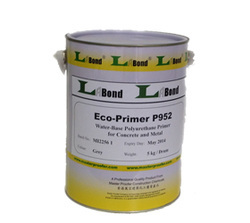 P952 is a single component water-base polyurethane resin of self-emulsification, it serves as priming coat to receiving onward Epoxy and Polyurethane finish coating. P952 is primer for hard type industrial coating and water-base surface treatment coating. The film hardness is quite strong and flexibility is quite good. The viscosity stability and water resistance, chemical mechanical stability is excellent.